Ever since Superman #10 when this title was even hinted at, I’ve absolutely loved Robin and Superboy teaming up. This title has taken that concept and ran with it so well. Now that we’re at issue #6, let’s jump in and see where the Super Sons are heading. This is “Planet of the Capes” Part One: Teen Beat. 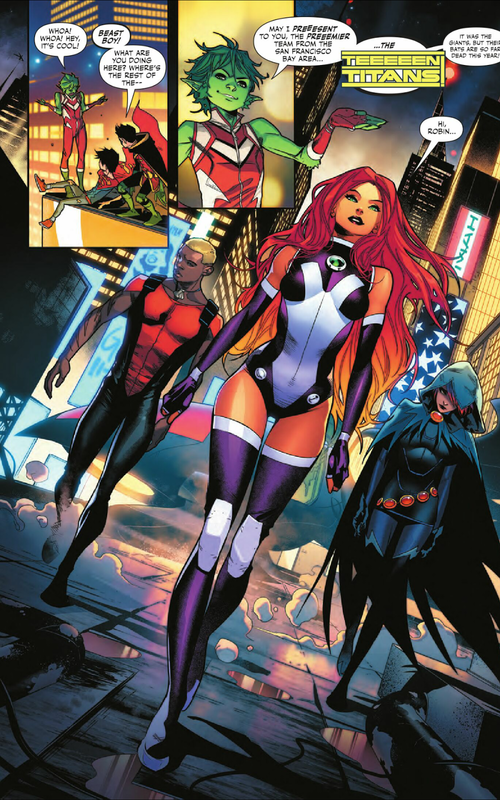 Since Robin is a teen, he leads the Teen Titans. 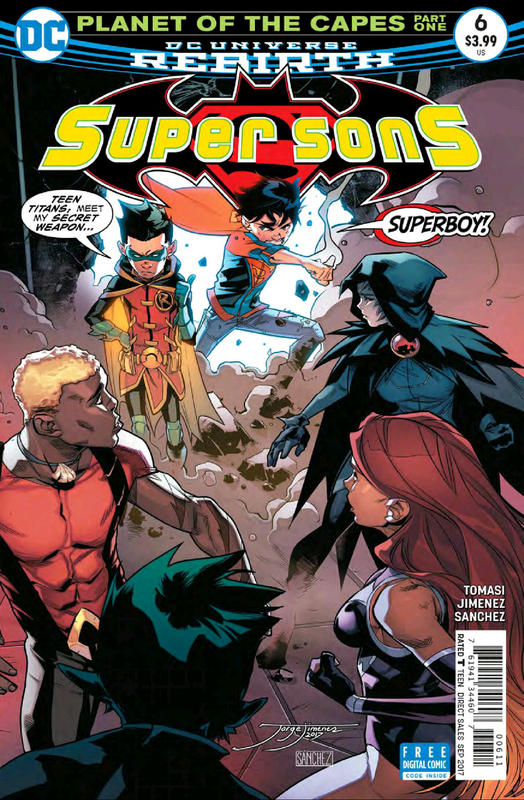 However, Superboy is only 10 and can’t be a Teen Titan. But that hasn’t stopped Robin for wanting to train him! This issue begins Jon’s training to become a Titan and it’s unfortunately short lived as Robin has to take care of Titan's business for the rest of the night. I absolutely love their banter; Jon continues to teach Robin to being justice more gentle than he normally does. I love the contrast between the two but they’re such good friends that they play off each other without screaming in each others faces. On the Titan’s business that Robin must attend to, they find themselves in trouble with the Time Commander. At this point, I bet Damian kind of regrets not inviting Jon to come along with him. Sure he’s not a teen, but he’s so powerful that I hope he comes to save the team and show Robin that just because he’s 10, doesn’t mean he can’t help. Maybe he can be an unofficial member of the team until he’s 13. The art is so great as always from Jorge Jimenez. His art constantly shines in this book as well as it does in Superman. It’s cartoony but realistic at the same time. Even in dark scenes, the colors still pop. This is a very fun issue. Even though it’s a small story, it’s Jon and Damian’s interactions that make it an enjoyable issue with such great art.